First team debutant Dave Dundee (may not be real surname) scored a dramatic late winner to give the Parkers a second win.  It was Middle Park’s eighth game of the season, and first at home. With five points from the first seven, a win was needed. Coach Helen kept faith with his back five; birthday boy Marshall, Sam left back, Brenton right back and Hadrian’s Wall in the middle. Cillian kept his place on the right, with Matty and Wardy played in the middle. A tactical changed was made on the right – Kenji returning to the right hand side, in place of Stevo who took over warm up duties. Blane and Gibbo were paired together up front. The first half was a little scrappy – the strong wind, cold weather and bobbly pitch not aiding flowing football. The Parkers missed two excellent chances – first a free header from Blane was off-target, then three Parkers conspired together to miss an open goal from a corner, just four yards out. Riversdale moved the ball well, but threatened little. 0-0 HT. But then.. a moment of inspiration from coach Helen. Remembering his Bryan Robson football skills annual from 1982, he was struck by a tactical intervention. Off came Cillian, Kenji moved over to the left, and new boy Dave made his first team bow on the right hand side. Minutes later, the ball broke down the left, Kenji took the ball to the by-line and floated a high ball across goal. The ball looped over the defender, where Dave hit a sublime first time volley with almost his first touch. Jubilant scenes followed, as well as 4 or 5 very nervy moments in which the Parkers held tight. 3 well needed points. A draw was probably a fair result, though this was perhaps karma for missing out on a win versus Ashburton.